Junk King Palm Beach is all about solving problems. All it takes is a few moments for them to assess any situation in the figure out the best way to efficiently remove whatever it is you want taken away. You never hear them complaining! The pricing policy for Junk King is always been based on volume and not weight. You’ll know exactly what you’ll be expected to pay before the work begins. If for any reason you’re not satisfied with that price, then you can let the crew know and they will happily move on to the next assignment. No harm, no foul. Junk King Palm Beach likes to move fast. Even in that difficult aftermath of a storm cleanup, you’ll still find the get the job done on time. The best approach to clearing out your unwanted clutter will always be Junk King Palm Beach. 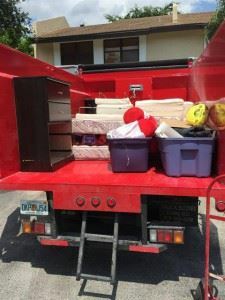 This entry was posted in Palm Beach Junk Removal and tagged Junk King, junk removal, reviews on September 30, 2017 by Junk King. Last updated October 1, 2017 .